The Sabian XSR Fast Crash 14' is an 14' crash cymbal from Sabian’s XSR series. 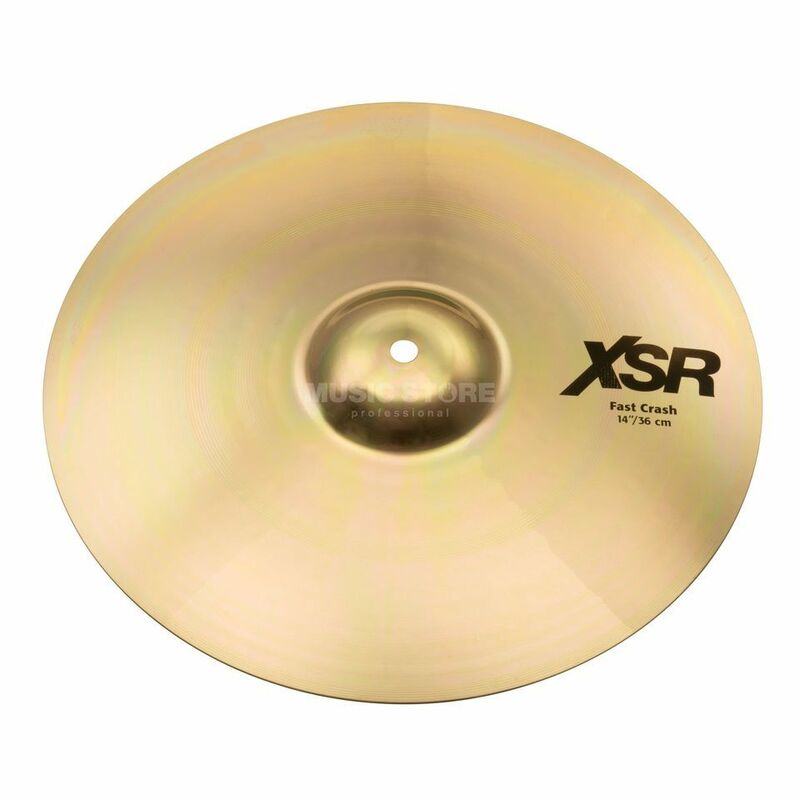 XSR cymbals are hammered and have enhanced in quality since their development. The bells have been carefully reshaped and redesigned to accelerate the ring and overall sound of the cymbal. The B20 Bronze crash cymbals offers colour and sharpness to your drum breaks. The overall sound and performance from the Sabian XSR cymbals are well beyond what you would expect from a budget series. The XSR cymbals sound excellent on any drum-kit.